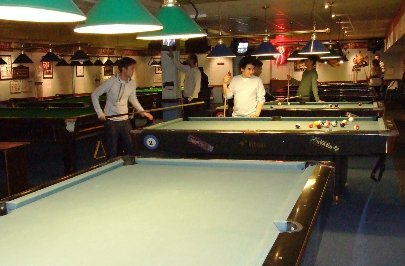 Mile End American Pool & Snooker Centre boasting superb facilities in the perfect playing environment. The club was established in 1999 and quickly became a haven for 9 ball American Pool and Snooker players of all standards. The bar and lounge area has added to the relaxed atmosphere in the club as well as providing a comfortable area to perform your own post match analysis!! This area also houses the latest Jackpot and touch screen Machines.